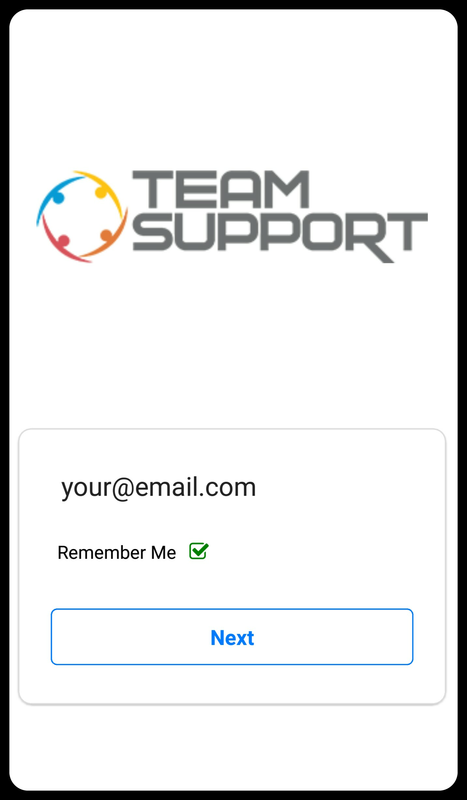 Provide better support to your business customers with the TeamSupport app available for iOS and Android. 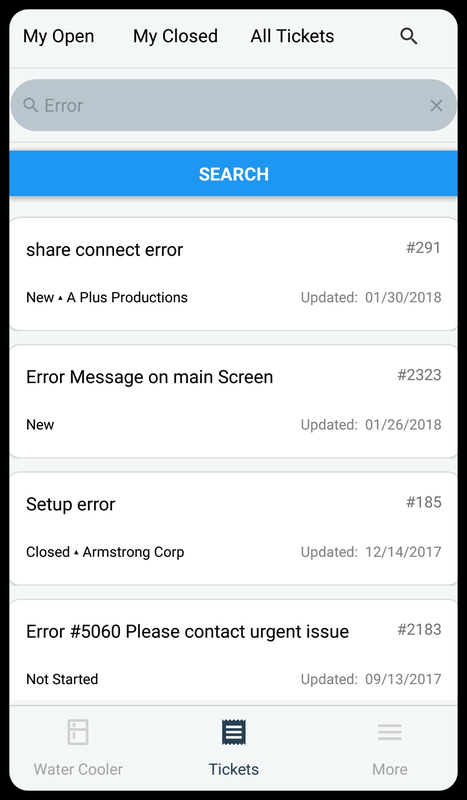 With the power of the TeamSupport app you can view, assign, and edit tickets on the go, respond to customer requests, collaborate with your team to resolve issues faster, and keep up to date with internal discussions. 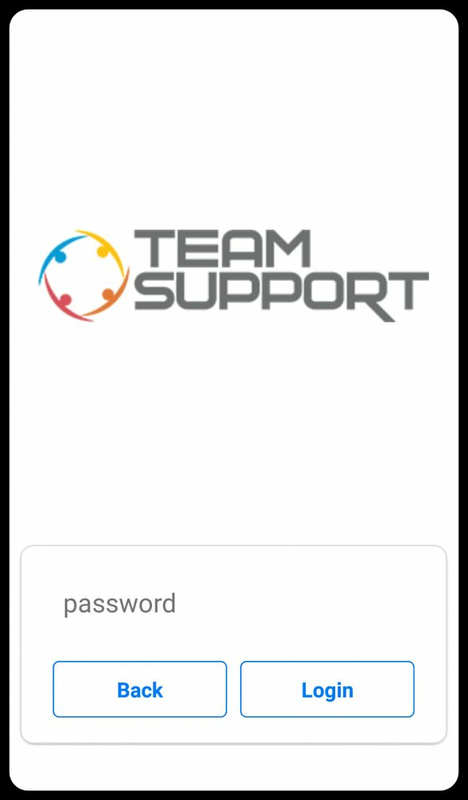 Click an image below to be taken to the download, or simply search “TeamSupport” within the app store. Type in the same username for the mobile app that you use for your desktop TeamSupport app. If you have multiple TeamSupport accounts, you will be asked to indicate which account you wish to log into after clicking “Next” on this screen. 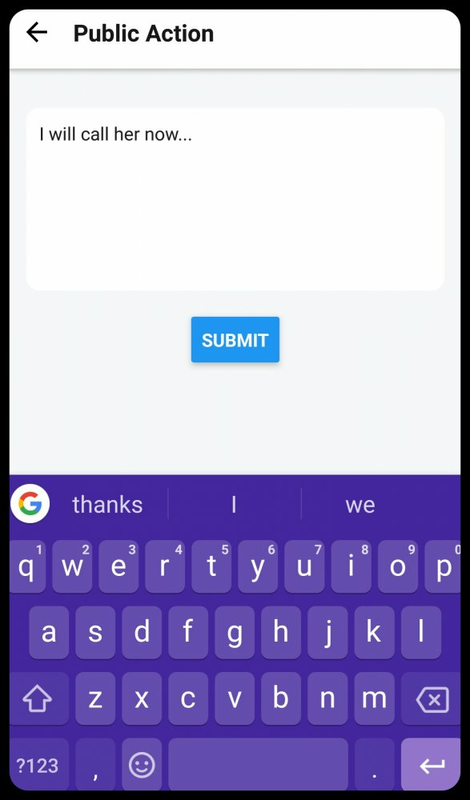 Type in the same password for the mobile app that you use for your desktop TeamSupport app. If you have forgotten your Password, it can be reset at your desktop TeamSupport app. Name/Picture: The name and avatar for the user who created the Water Cooler post. When: The timeframe when the Water Cooler post was created. Message: The Water Cooler message. Star/Likes Icon: A gray star indicates that you have not liked the post, whereas a yellow star means you have liked the post. The star also has a number to the right which indicates how many total likes the post has received. Finally, you may click on the star to see the list of users who have liked the post. Like/Unlike Button: You may toggle between Like/Unlike for any post. 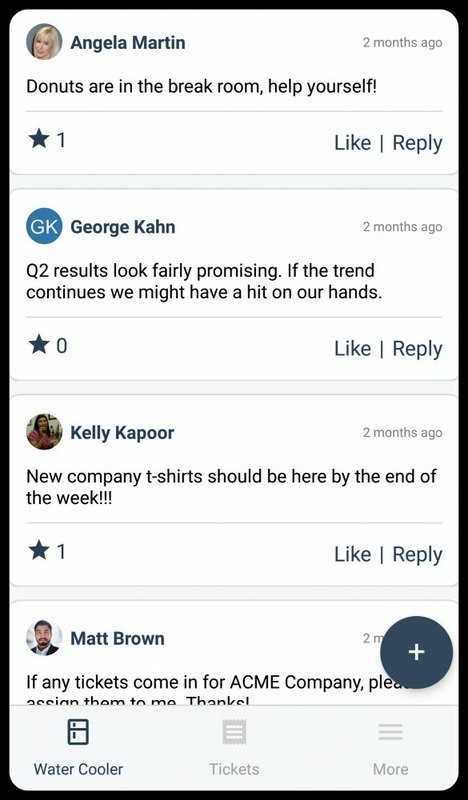 Replies Icon: If there have been replies to the Water Cooler post, an icon will appear next to the star icon with the number of replies present. You may click on the icon to view the replies. You may add a reply to the Water Cooler post from this page. Reply button: This button allows you to add a reply to a WC post by entering a comment and clicking the submit button. + Plus button: Clicking the Plus (+) button at the bottom of the right hand corner of the Water Cooler window allows you to add a new Water Cooler post. Tabs: There are 3 tabs across the top of the ticket screen which filter your ticket views: My Open, My Closed, All Tickets. There is also a Search Tab. Ticket Name/Ticket Number: The ticket name and number are displayed along the top of each ticket box. Ticket Status: The Ticket status is displayed below the Ticket Name. 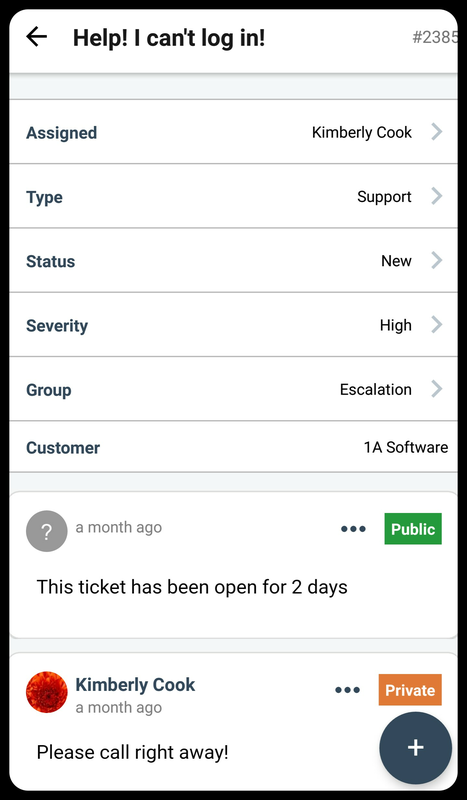 Customers: If any Customers have been associated to a ticket, they will be displayed next to the Status. Last modified date: The last modified date posted on the ticket will be displayed. The Search tab allows you to enter a search phrase found in the Name or Description of a ticket. Clicking a ticket from any of the tabs will take you to the detailed ticket view. Ticket Name/Ticket Number: The ticket name and number are displayed along the top of ticket detail page. 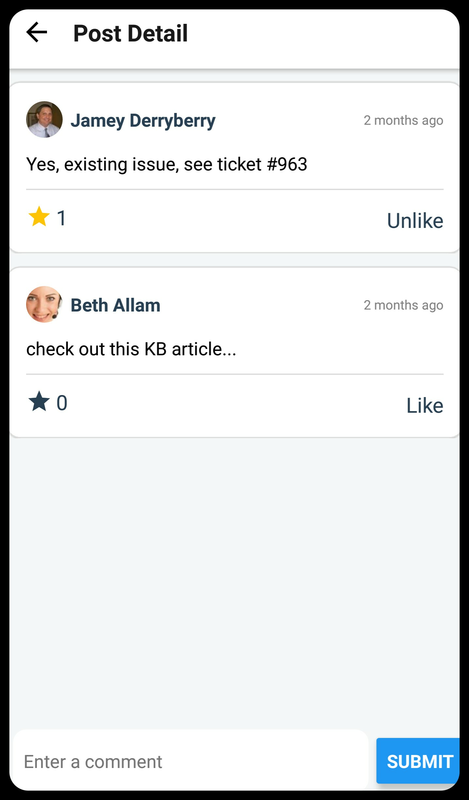 Editable Ticket Fields: You may edit the following fields: Assigned User, Type, Status, Severity, Group. View Only Ticket Field: You may view the Customer field. Name/Picture: The name and avatar for the user who created the ticket action. When: The timeframe when the ticket action was created. Description: The body of the ticket action. Public/Private Flag: This flag indicates whether the action is public or private. Toggle Public/Private: Allows you to change the visibility of an action. You may only edit your own actions. Delete Action: Allows you to delete an action. You may only delete your own actions. Plus Button: Clicking this button allows you to add a public or private action. 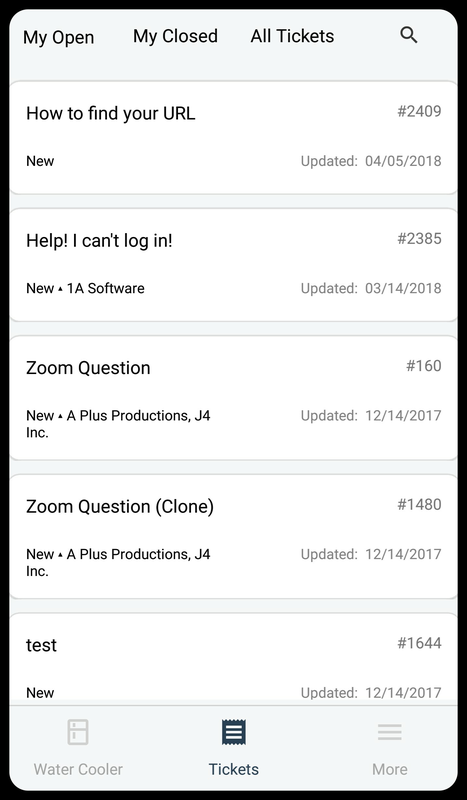 Under the “More” menu on the bottom right hand corner of the main app window, you will find an option to logout of TeamSupport.